If you are scheduled for surgery through one of our clinics, read the following information to help you prepare for surgery. Pre-anesthesia nurse coordinator: 206-744-5572, 8 a.m. to 5 p.m. Ambulatory Surgery Unit: 206-744-5432, 6 a.m. to 9 p.m.
Once your surgeon has scheduled your surgery, you will visit the Pre-Anesthesia Clinic to make sure you are in the best possible condition to go through general anesthesia. At this pre-operative anesthesia visit, a nurse coordinator will review your medical history. If necessary, you may have blood tests and an electrocardiogram (also known as an EKG) performed. Other tests may be needed depending on the type of surgery you will have. A list of all the medicines you take, including times and dosages. Test results from any other hospital or clinic. This information is important. It lets doctors know everything that may affect your care and recovery. Some medicines that you are taking may not mix with ones you will be given in the hospital. The pre-anesthesia nurse coordinator visit is a good time for you to ask questions about the day of surgery. At the end of your visit, the nurse coordinator will ask you for a phone number where you can be reached the day before surgery (see below for more details). answer any last-minute questions you may have. If your surgery is on a Monday, this call will take place on the Friday afternoon before surgery. If you do not receive a call by 7 p.m., please call the Ambulatory Surgery Unit at 206.744.5432. Unless you are told otherwise, the day and evening before surgery, you may eat normally and take your usual medicine. Do not eat or drink anything after midnight the night before or morning of your surgery. You may not have water, candy or gum. This helps reduce the chance of vomiting and/or inhaling items into your lungs during your surgery. Swallow pills you are required to take the morning of surgery with only sips of water. If you are going home on the same day as your surgery, you must arrange for an adult to take you home. The adult will take you home and make sure you are comfortable. It cannot be a taxi driver. You also need to arrange for an adult to stay with you for at least 24 hours after surgery. When you come to Harborview, please wear clothes that are loose and comfortable. This makes it easier for you both before and after surgery, when you may be required to change and/or health-care team members may need to help you change. Please do not bring jewelry or other valuables with you. Bring a list of your medicines, but do not bring the medicines unless the nurse told you to do so during your pre-operative anesthesia coordinator visit. If you have insurance co-pays, you are required to pay when you pick up your medicine. Harborview is unable to send you a bill for these co-pays. You may pay with cash, check or a credit card (MasterCard, VISA, or American Express). Please call a patient care coordinator or the Ambulatory Surgery Unit if you are unable to keep your appointment. If you have a problem the morning of surgery, call the operating room at 206.744.8800 before 6 a.m., or the Ambulatory Surgery Unit at 206.744.5432 after 6 a.m. Please check in at the desk on the ground floor of the Maleng building in the surgical waiting area at the specified time. You will be called when it is time for you to begin getting ready for surgery. remove glasses, contact lenses, hearing aids, dentures and hairpins. If for any reason, you are uncomfortable with a request, please speak with a nurse. You will return to the Ambulatory Surgery Unit directly from the operating room or after waking up in the recovery room. Family and friends will be allowed to stay with you as much as possible through the pre- and post-op process. 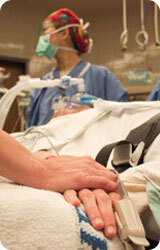 While you are in the operating room, family and friends may wait in the surgery waiting areas. The surgeon will speak with family and friends after surgery. Staff in the surgical waiting room may answer questions and get updates on the progress of patients during surgery. After surgery, you will be taken to a recovery room to wake up from general anesthesia. While you slowly wake up from anesthesia, you may feel cold and nauseated. 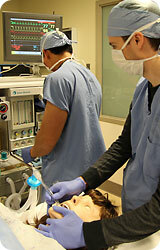 Your mouth may be dry, and your throat may be sore if a breathing tube was used during surgery. If you have had a regional or local anesthetic that numbs just a portion of your body, that part of may be numb until the anesthetic wears off. 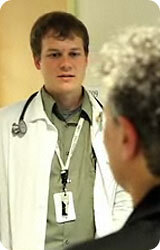 A nurse will check your breathing, heart rate and blood pressure frequently. He or she will help you with any nausea and/or pain you may feel. It is important that you are comfortable. Please be sure to ask the nurse for pain relief before the pain gets too severe. Your surgeon will decide whether you go home the same day as your surgery or stay in the hospital. Please discuss this with him or her during your specialty clinic visit that takes place before surgery. You will need someone to take you home after surgery. That person should be someone who will help you into your home and make sure you are comfortable. For your safety, we HIGHLY RECOMMEND that a responsible adult stay with you for at least 24 hours after surgery. Again, that person should be someone who will help you with anything that you need. This includes assistance with getting up and down stairs, if necessary, and making sure you have meals. Be responsible for another person, such as a child. Before you leave the hospital, Harborview staff will schedule a return visit for follow-up care. Staff will also fill prescriptions for medicines before you leave. The day following your surgery, a nurse at the Ambulatory Surgery Unit will call you. The nurse will ask how you are feeling, answer your questions and discuss any concerns.